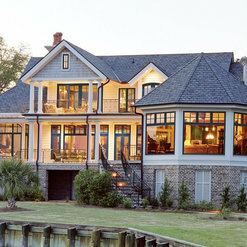 Sivan Windows did a fantastic job for our company and I would highly recommend them! Our property management company interviewed nearly a dozen window replacement companies to replace all windows and sliding glass doors at four different apartment buildings in the West San Gabriel Valley. We went with Sivan because of their knowledge, reputation, and price. 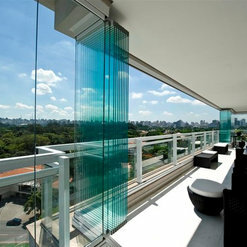 We met Roi of Sivan Windows during the bidding process. He seemed knowledgeable and honest, both of which turned out to be true. 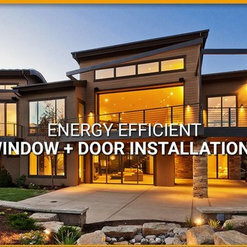 One of the things we liked about both him and the company is that they referred us to a couple different window manufacturers, without pushing one or the other. They didn’t sell us on a particular window brand, which many window replacement companies, if they manufacture, sell only theirs. Sivan communicated well throughout the replacement process. 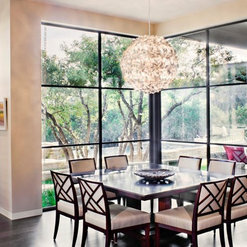 In the end, we replaced nearly 600 windows and 100 sliding glass doors. They followed the schedule closely, leaving resident disruption to a minimum. If there was a mistake or a snag that was their fault, they owned it and made it right in the end. We are very happy that we completed the window replacements of all four buildings within a matter of months – it wouldn’t have happened without Sivan! 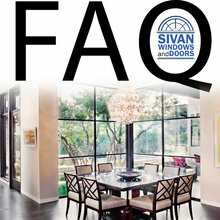 I would highly recommend Sivan Windows and Doors given their professionalism and my experience with them. Salesman Jim was able to answer all my questions and was able to provide and negotiate a reasonable quote for Premium Windows and Milgard. 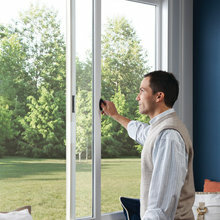 I chose to go with Premium Windows given the quality, cost and reviews. 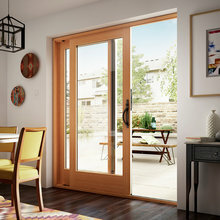 Once I placed order for 2 sliding doors and 6 windows, the customer service and follow up was very professional. I added another window later to the order and they were able to accommodate it with the price adjustment on the order. 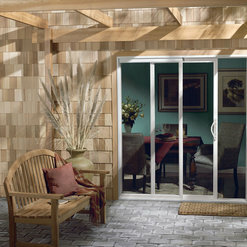 The windows and doors were available within 10 days of ordering and were ready to be installed. I had to delay installation due to pending approval from my HOA but Sivan team was very patient and recommended me to wait until the formalities were complete. Installation crew Ernesto & Ernesto were very friendly and professional and were able to install and haul away 2 doors and 7 windows in about 9 hours (same day). Also, they helped with removing the blinds and putting them back once the installation was complete. Sivan representatives called me next day to ensure if all went well and if I was satisfied with their service and quality. Its been more than 2 weeks since the installation and there have been no issues and I'm completely satisfied with the new doors and windows. 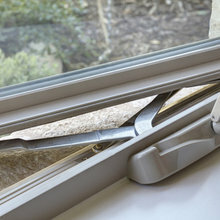 We have been considering changing our windows for several years now. 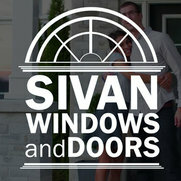 We finally made the decision early this year and were referred by a friend to Sivan Windows. All it took was one phone call and we had a sales representative, Jimmy, at our house a few days after. Jimmy was very friendly, professional and knowledgeable. We placed the order the same day with Jimmy's help. In a couple weeks time, the measurements were taken and the order was on it's way. 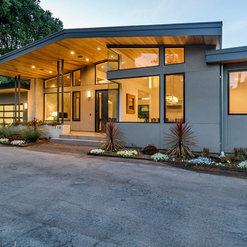 Sivan also assisted us with obtaining all required building permits and HOA approvals. During the installation process we worked with Peter who was always courteous and provided timely and detailed responses. When the work was completed Ms. Guadalupe helped us through the financial and closeout process. Ms. Guadalupe was very caring and polite everytime we spoke. She and and the entire team have been wonderful to work with and it made our entire experience worthwhile. We love our new windows and couldn't have asked for a better company and people to work with. very unprofessional. they are. joke when it comes to customer service and installation issues. when paying for installation, you expect to have a competent installer. please look elsewhere. they are a rip-off. We're sorry for your unpleasant experience with us. We certainly do not take negative feedback lightly. If you'd like to have a discussion about your experience so we may help improve, please let us know. Regardless, this matter will be forwarded to management for review to ensure this does not happen again. Thank you again. They did a good job replacing our windows and door. They have the best price of all the 3 places I checked out. They returned by phone calls or emails right away. 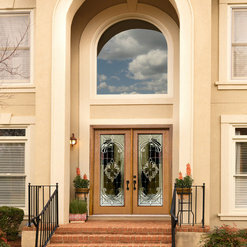 Of all the window and door companies out there Sivan was the only company that would work with me and do things my way. They would return my calls and emails. 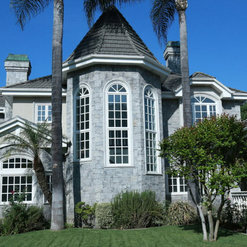 The Milgard windows were installed professionally and the product quality is the best. Prices were very competitive. Thanks Sivan and everyone there who was responsible for the window instillation. The window installers very professional. Great windows vendor! Renee is great to work with, always responsive via email and phone! Great prices and high quality materials! Highly recommended! We had a french door installed to our master bedroom. The installer "showed us" how to use it before he left, but when we left for the evening, we realized what he "showed us" does not actually lock the door. The deadbolt doesn't fully activate, and the lock disengages when you turn the handle. We called 2 hours after the installer left, and told them that it was an emergency, as we can't lock the door to our bedroom. We live in a bad neighborhood, and I travel leaving my wife alone, so this is a big deal. About 36 hours later, we received a call from the owner who was very apologetic. He sent someone down immediately to address the problem. Commented: Retro Kitchen MakeoverWow amazing! Commented: Could you tell me what cabinetry is used in this kitchen?Sorry but we was in charged on the windows, so unfortunately we don’t have this answer for you.